DirectionFinder 2.0 is a visually enlightening, interactive tool that makes your survey data more powerful than it ever has been before. You and your colleagues can use DirectionFinder 2.0 in any meeting to make intelligent data-driven decisions in minutes. No statistics degree or data processing skills required. You can either scroll down this page to review, or use the navigation directly below. If you have any questions please contact us here. Please click through our example dashboard below. To see the dashboard as intended be sure to make the dashboard fullscreen by clicking the double-arrowed icon in the bottom right corner. You can exit fullscreen mode by clicking the escape (Esc) key on your keyboard. If you have any questions on how to use the dashboard please contact us here. 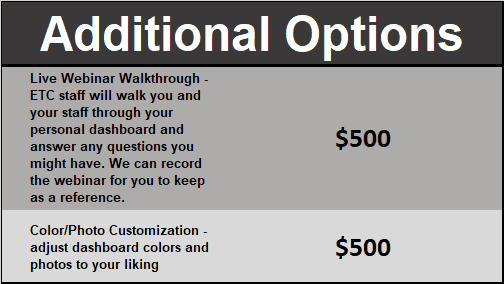 Below is a quick description of our pricing for DirectionFinder 2.0. 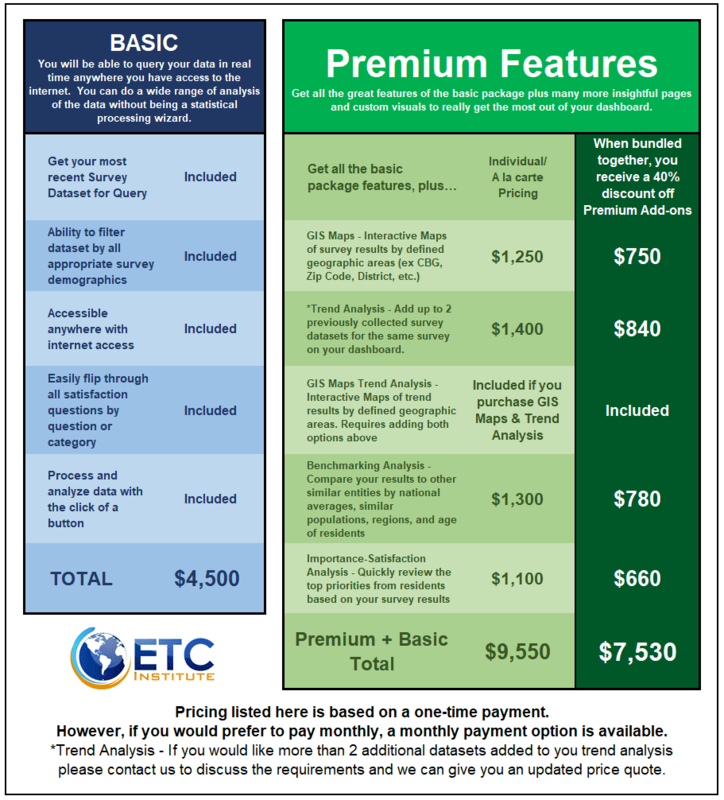 If you have any questions about the pricing please contact us here. Below are a couple additional services you can add. We will always provide you with a video tutorial of how to use one of our generic dashboards. However, if you would like us to personally walk you and or your staff through your personal dashboard and then provide you with a recording of that walkthrough that is an option. Additionally if you want to change the colors of the charts/visuals/text of your dashboard we can also accommodate that as well. If you have any questions about the pricing please contact us here. At ETC we are constantly trying to improve the products we deliver to you. 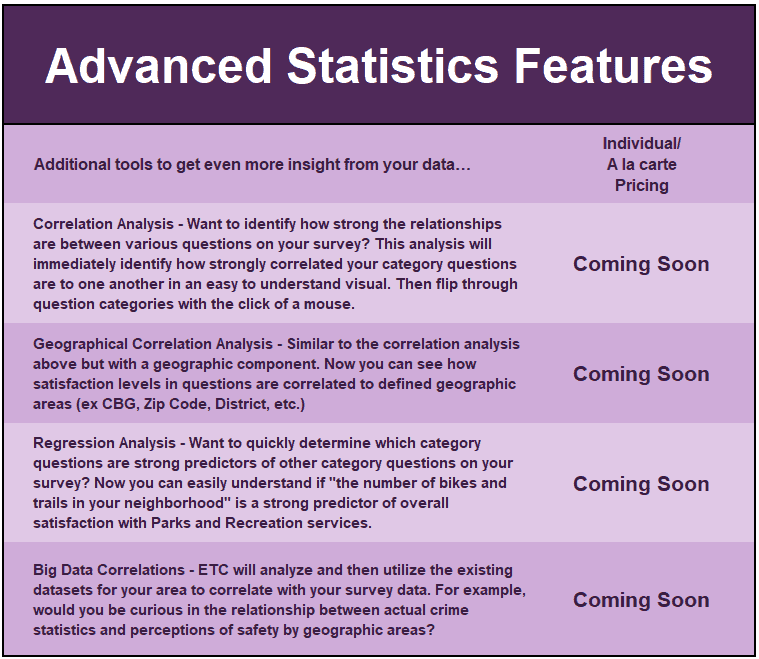 Below are just some of the features we are working on adding to our dashboard features collection.